CHESTERFIELD, Mo. 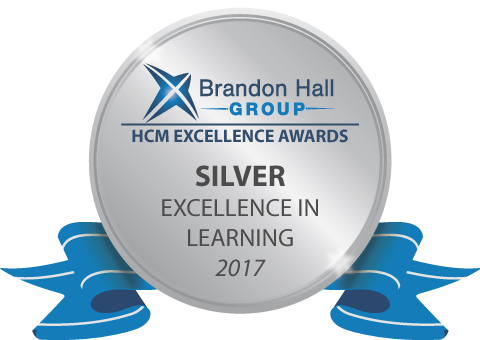 – Sept. 11, 2017 – PRLog — Cris Hatcher, Director of Training and Development with Watco Companies, has won a coveted Brandon Hall Group Silver Award as an Emerging Star in the Learning and Development category. Cris has worked to develop the Watco U Online program for Team Member training through utilizing BizLibrary’s online learning solutions over the past two years. Results from growing the Watco U program have included higher engagement in training, increased employee retention, training cost savings, and improved customer satisfaction. At ALIGN 2016, Cris and Watco won the Program of the Year award among all BizLibrary clients. They have also recently won a 2017 Learning! 100 award for Culture. The Brandon Hall Group Excellence Award entries were evaluated by a panel of veteran, independent senior industry experts, Brandon Hall Group analysts and executives based upon the following criteria: fit the need, design of the program, functionality, innovation, and overall measureable benefits. Watco Companies, LLC, based out of Pittsburg, KS, is a privately-owned company providing transportation, terminal and port services, supply chain, and mechanical solutions for Customers throughout the U.S., Canada, Australia, and Mexico. Watco Companies was founded on a goal of providing the best customer service possible in the transportation industry, and developing long-term relationships with its customers, vendors, and business partners. Brandon Hall Group is a HCM research and advisory services firm that provides insights around wfv key performance areas, including Learning and Development, Talent Management, Leadership Development, Talent Acquisition and Workforce Management. © 2017 Brandon Hall Group, Inc. 3 With more than 10,000 clients globally and 20 years of delivering world-class research and advisory services, Brandon Hall Group is focused on developing research that drives performance in emerging and large organizations, and provides strategic insights for executives and practitioners responsible for growth and business results. BizLibrary is a leading provider of online employee training solutions. Our award-winning online training library contains over 7,000 micro-video lessons, video courses, interactive videos, and elearning courses covering a wide variety of topic areas and includes additional support materials to further increase learning retention.